Careful monitoring of credit reports can alert consumers to fraudulent activities or inaccuracies in records potentially indicating identity theft. The information included on a credit report, such as amounts owed, payment history and public records, affects the scores used by financial institutions and credit card issuers to assess the creditworthiness of applicants and decide whether to approve applications. Credit reports also provide consumers with a total picture of their credit status at a particular point in time. Few consumers know exactly where they stand when it comes to total debt, thus seeing everything laid out in a report reveals not only where changes can be made to improve credit scores but also mistakes and incorrect information they must dispute and correct. Some of these inaccuracies may be red flags, warning of a breach of privacy or outright identity theft in need of investigation. In these cases, appropriate measures must be taken to correct all information and ensure the security of personal information. 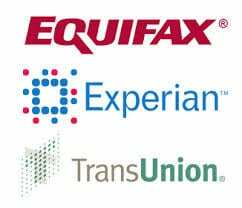 Under the Fair Credit Reporting Act or FCRA, every consumer is entitled to one free copy of his or her credit report per year from the “big three” CRAs: Equifax, Experian and TransUnion. This law is enforced by the Federal Trade Commission and gives consumers the opportunity to keep a close eye on credit activities associated with their accounts. It is reported that one in five consumers have at least one error on their credit reports. Because these errors can have negative effects on a person’s overall credit history and make it difficult to qualify for loans or obtain new credit cards, they should be addressed and fixed as soon as they’re discovered. CRAs are required by law under the FCRA to correct inaccurate or incomplete credit report information and must investigate claims from consumers within 30 to 45 days of receipt. Although Equifax, Experian and TransUnion all offer online dispute options, it’s best to carry out communications by mail. Physical letters provide a paper trail consumers can file, track and refer back to as necessary. The way a consumer handles his or her finances, including making purchases, payments and credit requests, will impact the total FICO score because of the influence such habits have on each of the five elements on which the score is based. Any patterns indicating reckless spending could prevent consumers from qualifying for card promotions, special deals and higher credit limits. However, those with short credit histories may benefit from charging the majority of their purchases to their credit cards as long as balances are paid off on time. Rather than demonstrating poor spending habits, such a pattern helps to establish a stronger credit history, making other financial products more accessible. Credit monitoring to detect unusual activity reported to any or all of the big three CRAs is an important part of the overall scope of identity theft protection. Consumers need to be alerted to fraudulent activity as soon as it appears so that appropriate measures can be taken before irrevocable damage is done to their credit histories. Helping consumers better understand the elements of their credit reports provides the knowledge they need to spot errors, empowers them to take corrective steps when necessary and gives potential identity thieves fewer opportunities to compromise credit records. Identity Management Institute offers a video course to teach about how to obtain, review, and correct credit reports. 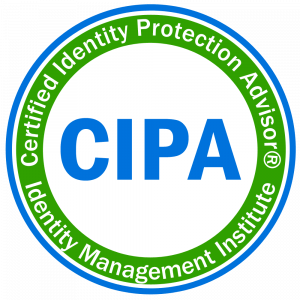 This video is available for purchase and is offered to Certified Identity Protection Advisor (CIPA) candidates who are valuable resources for helping consumers. Visit our training page to learn more and access our video courses for preview and purchase.